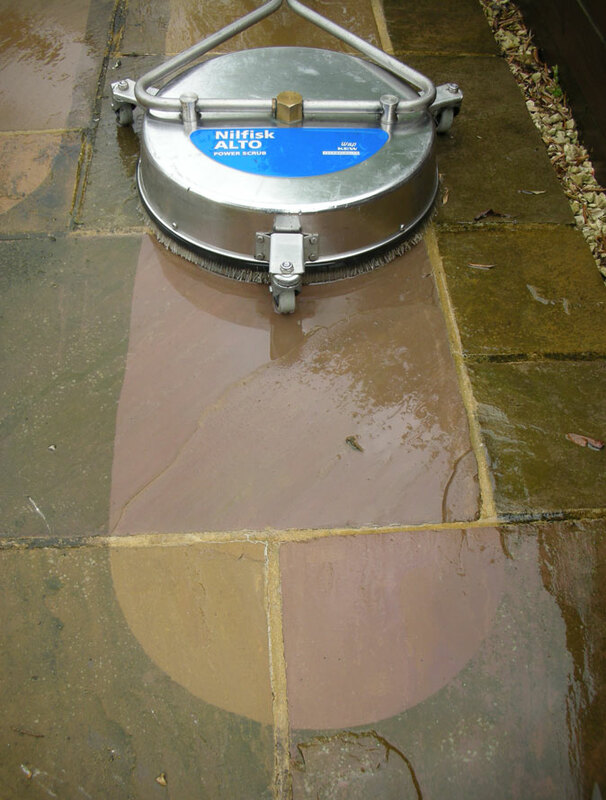 Based in Sawley, close to Nottingham and Derby, PaveCleanPro offer professional driveway cleaning, block paving cleaning, patio cleaning for all types of surfaces. 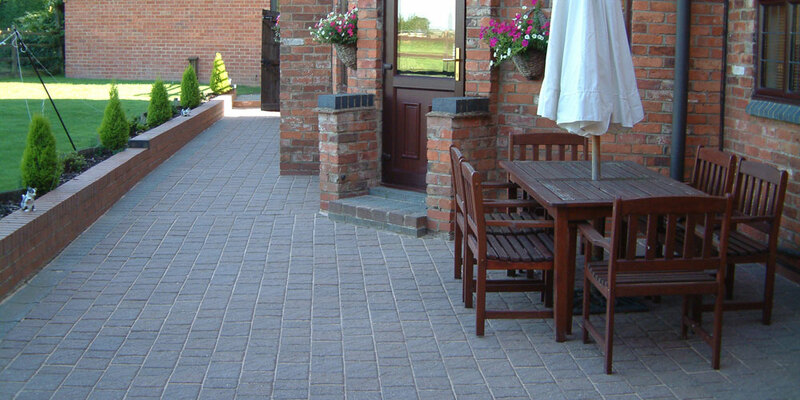 We are often asked to clean Block Paving, Concrete slabs, Natural Stone, Tarmac, Decking and Pattern Imprinted Concrete surfaces throughout Nottingham, Derby and surrounding areas. We know that the initial cost of having an outdoor surface professionally paved, tarmacked or decked can be high, and that over time, surfaces inevitably become dirty, weathered and worn. We aim to resolve these issues for our clients by offering affordable yet thorough domestic and commercial cleaning services for outside areas, alongside carrying out sealing, pointing and restoration services to revive and rejuvenate your paved surfaces to look good as new! 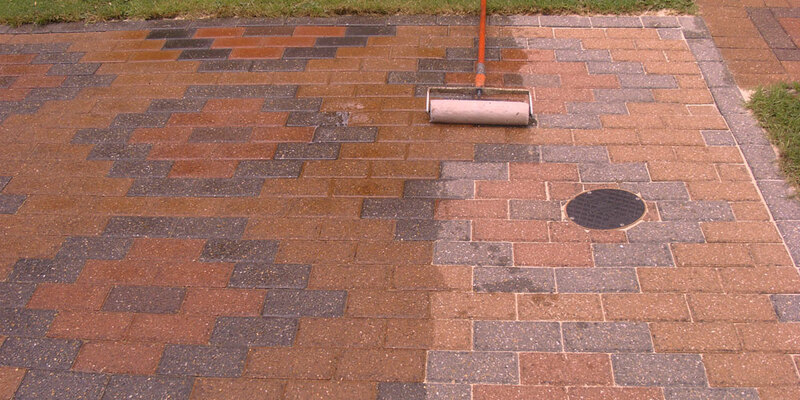 Our experts are able to offer transformative pressure cleaning, sealing, pointing and restoration services (including colour enhancement), for driveways and patio areas for domestic and commercial properties. If you’re looking to get your driveway cleabed, get in touch now for a free, no obligation quotation. We are based in Sawley and cover Nottingham and Derby and surrounding areas including Long Eaton, Sawley, Attenborough, Breaston, Castle Donington and Kegworth. Can you remove oil stains, tyre marks, grease and chewing gum from a driveway or patio ? 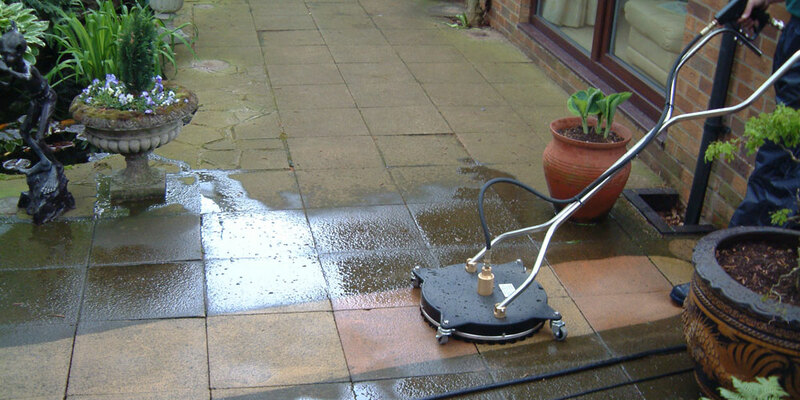 Using our professional jet pressure washer, makes driveway cleaning quick and easy; we are able to completely remove chewing gum, stains, grease and tyre marks in 99% of cases. If we cannot remove the mark or blemish using the pressure washer or treatment, we are able to replace the offending blocks with new ones without having to re-lay the entire area. Will a domestic pressure washer work effectively on my patio ? Using a domestic pressure washer on driveways and patios is not advised. These machines are designed for use on cars are so they are often not suited to cleaning paving stones, tarmac or concrete. Using a domestic pressure washer will disturb the delicate sand bed that the blocks are laid which can lead to stones sinking. Our professional patio cleaner is designed to clean the surface and a sufficient depth of sand, without disturbing the sand or screed. Do you offer free quotes ? Yes, all of our quotes are free and prices are quoted on an individual basis after assessing the job. We do not offer quotes over the phone as we like to view an area first so that we can provide you with an accurate price for the whole job. Contact us today. 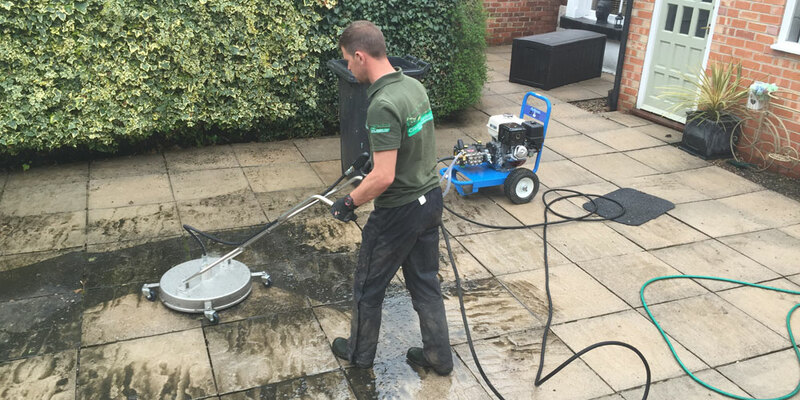 We’ll be happy provide a quote for cleaning your patio or driveway for properties in Nottingham, Derby and surrounding areas. How do you replicate the ‘wet look’ of paving to enhance the colours ? When paving is wet, often the colours of stones are more vibrant, which can enhance your design and colour choices beautifully. A ‘wet-look’ can recreated by using a gloss or wet-look sealant, however if you’re looking to further accentuate colours further, we advise using a Colour Enhancer. How can I protect my patio against the effects of weathering and wear ? 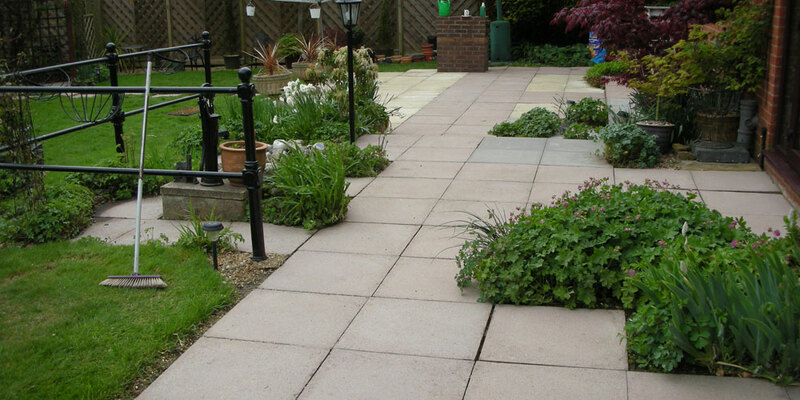 Take a look at our Sealing Services to find out more about how treating your patio with a sealant can help to inhibit the growth of weeds, resist stains and prevent ant nests, whilst working to strengthen and enhance your surface.